I have truly been missing in action. My life has become soo busy that I do not have time to think. It is a good kind of busy but a busy that does not allow me to be the best me I can be. I rest in knowing that this will only last a short while and soon I will be back at peace. I have read comments followers have left for me and thank you so much for your thoughts. Pretty soon I will back in action. 2. I am the process of reconnecting with teaching ASL and have learned a few tips and tricks of the trade BUT if you have any you would like to share please do. Refreshing lessons as well as how they are taught is great! 3. Had a blast at Deaf Awareness Week in Riverside, met a lot of people and loved getting involved in the community. 4. Had a student who signed a concept very visually that it was a clear as a blue sky and was insanely funny that I laughed all day. 5. I had an aha moment where I learned patience is not my virtue so I need to create a game plan to practice patience. 6. Last moment is despite the not haves in my life….life ain’t to bad. It is what you make of it. As Dave Martin( Inspirational Speaker) would say “Make the rest of your life the best of your life”. I recently read a blog about living to work or working to live. I immediately asked myself which one am I doing? It would have to be to living to work. All that I do seems to be centered around work and their needs, not my own and not my family. It seems all so simple to say my mission would be to enjoy life and focus on living but it is not so simple. Often, as an imperfect person I say one thing and do another. I say I want to live but I don’t because each day I die inside. I say I want to be free but the shackles of life’s routines imprison me. I say if I work harder I will have the American dream but each day that dream moves further and further away even though I am working harder and harder. The reality is what I say and what happens is two different things and I have not yet mastered the art of how to make what I say a reality. Even though, I have read the book titled The Secret which is about the law of attraction. The law of attraction is not working in my favor currently but if it did I would attract opportunity, courage and happiness so that my desires, my words, my thoughts would become a reality. I would work to live and enjoy that simple bliss that is somewhere inside of me and in this life I live. What are you doing- Living to work or working to live? Share which one and how you are making sure to be where you want to be in your life. Wishing you a peaceful week filled with joyful surprises and the courage to follow your dreams! 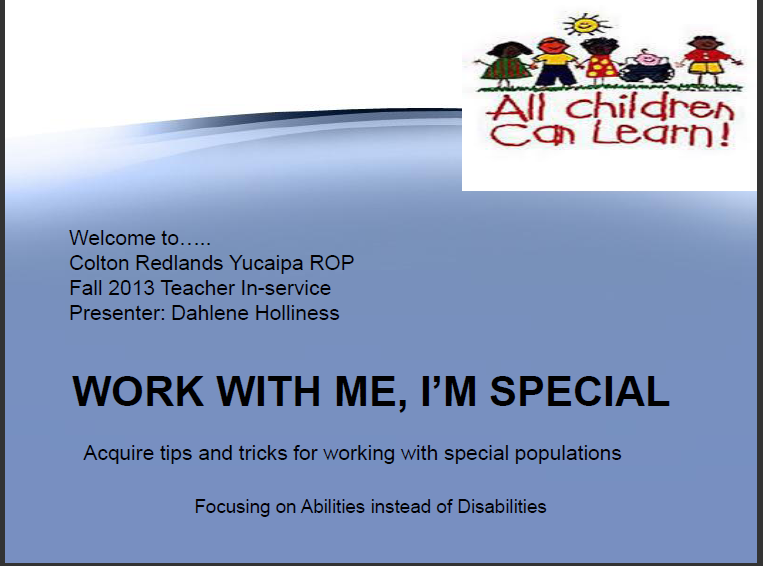 I attached a Powerpoint of a presentation about working with disabled students K-12 and can be applied at the community college and university level too. Click on the link below to access the Powerpoint. This morning I read the article by Blogger Bitco David on Deaf In Prison titled No Child Left Signing and the site Deaf Insight Blogger: Monica Hood titled Keep ASL in School Campaign. The two articles addressed great information along with the importance of keeping ASL in schools for a number of reasons. The value of ASL to both the hearing and deaf youth, the importance of students having language options and the awareness that having an ASL program in schools offers hearing and deaf youth. In a discussion, I had a while ago with another ASL/Deaf educator she mentioned that sometimes hearing ASL students know more about the deaf community and language than deaf students. Which made sense to me, I don’t remember receiving in-depth lessons at home or school about my culture, language or history. To learn more I researched on my own and learned new information in college by taking certain classes. Deaf youth should have the same option as hearing youth when taking ASL or deaf culture courses. They need to understand the importance of their history, language and culture along with other experiences to develop a positive self-identity. As well as deaf youth need to see how much their language is valued and appreciated that hearing students all over are passionate about learning it and making a difference in the community. This would also encourage deaf youth to get involved to make a difference as their parents and ancestors have to fight for equality and access. For hearing students ASL is a great option, not only for foreign language requirements and it is different from Spanish but ASL opens doors to so much more. 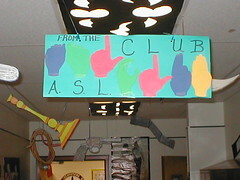 Students can get involved in the community and make a difference by advocating, educating and promoting an awareness of ASL and the community. This can be accomplished as early as the first course they take and continued through higher education. Once students connect with this mission it can be carried over into employment especially in places where the door has been closed to the deaf community due to discrimination. They can bring to light the needs of the deaf community and how they can be met through equal access and deaf friendly approaches. This is what both of the communities need; support and purpose. The thought of losing ASL in hearing, mainstream or deaf schools is saddening as it has been a door of opportunity in so many ways. As a teacher I hear the stories from hearing students sharing with me even after leaving my program. Uplifting stories of accomplishment and success, of how they made a difference with one simple act of kindness or education. Deaf students share how they feel empowered and know how to educate for their rights because of experiences they or family members had, understanding the value in who they are and their language because of learning something they did not know in an ASL class or from an ASL professional. I watch in awe my students signing with deaf individuals as I see the excitement on both people’s faces that a person took the time to learn my language and the other person happy their signs can be understood. The one experience I wish would grow is he number of deaf events in our areas and the number of deaf that attend the events we do have. Often, ASL students go to deaf events in droves looking to experience a deaf encounter:) and practice the skills they are learning but the opportunities are not always there. As a result, they go through the event signing with another hearing person which is great because they are signing but it is not the same as signing with a deaf person which is what they need. I support more events where ASL students support each other signing but I also support deaf events in which hearing and deaf connect. In hearing and deaf connections students are more likely to learn a wealth of information than what cannot be covered in class. Such as, community signs, social etiquette and facial expressions which seems to be one of the number one struggles for hearing people. We need to connect and continue to bridge the gap between the two communities which would convey the importance of having ASL in the schools, equal access in the business world and communities and deaf-friendly experiences wherever we go. It starts with this generation because they will carry the torch and make a difference. 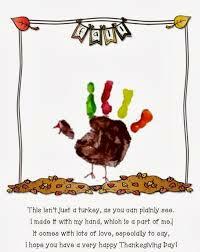 In closing, be the difference you want to see, encourage others to make a difference and support keeping ASL in schools! Great to read from the blog iRunOnPurpose. When My Feet Aren’t Running…My Hands Are. (What I do for a living). When I look in the Mirror, I….. When I look in the mirror, I see a person who is not content and looking for a way to be content with the life I have been given and has reached a clear understanding of her purpose. My faith and spirituality teaches that in all things be content because being content will present new opportunities when appreciative for what one has and where one is but this is not the case for me. Have you ever felt that life is a never-ending race, a chase of a dream, a mission to find out who you are and your purpose? I feel like that each time I look into the mirror. If you were to ask me what I thought my life purpose is I would say to make a difference in the education of the hearing community in regards to the deaf community. 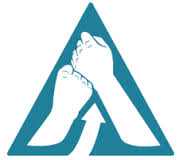 To advocate and provide a service to the deaf community where there are needs. Why? From birth to this moment it seems as though I have always stay connected to the deaf community through every job or opportunity I have had is connected to sign language, deaf community, deaf rights, deaf…deaf…deaf. I love being with this community but I want to do more, however, what does more look like? Maybe more is challenging my education in this topic, maybe more is being more involved, maybe more is simply letting go and letting God lead me exactly where I should be and with who I should be. I will admit, when I am teaching sign language or deaf culture or working with deaf individuals I feel such a passion inside, a spirit excitement ,of home and of love. Then why do I look in the mirror and see discontent and a never ending search? I think it is because as a human being enough is never enough there is always more. Being content may be a distant goal because I don’t ever remember being taught to be content instead I was taught to be successful, to do more and be more. This post is serving as a sounding board into a small part of my emotional life and goals. As I type this I am thinking of content and what that looks like and how to remain that way. I am thinking of how to prepare myself for the next time I look in the mirror what will my statement be. It will be…..This is it! My special place, my space of content wherever and whoever I am, a place to be me and live in my purpose…A place of peace, not just a moment in time where all is well but a lifetime that feels like that moment. When I look in the mirror, I am…..exceptional.